It relives the pain by acting on root cause of the pain. 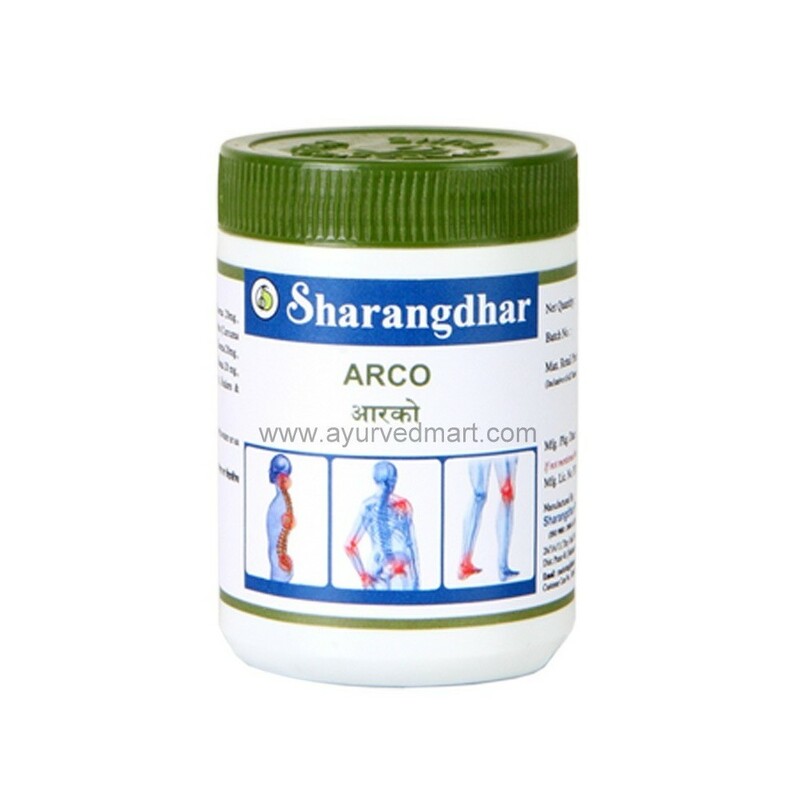 The inflammation or swelling is reduced by removing toxins from blood and excreted through the urine. Joint pain, Swelling at Joints, Redness, Pain at back-low Back, Neck region. Each tablet contains: Rasna (Inula racemosa), Punarnava (Boerhaavia diffusa), Haridra (curcuma longa), Gokshur (Tribulus terrestris), Jasad Bhasma 20mg each, Ashwagandha (Withania somnifera) 200mg, Binders and Excipients q.s. Problems like arthritis, Spondilitis, Slip disk, Sciatica etc. are normally common in old age. In which there is mainly inflammation and swelling. This leads to severe pain and difficulty in regular activities. 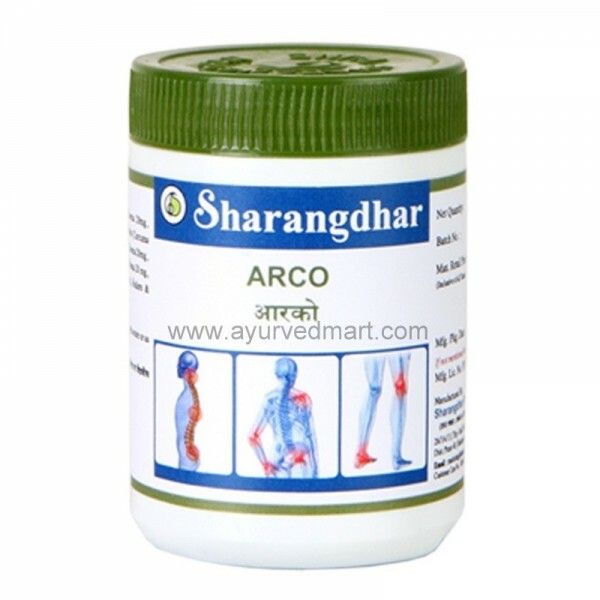 Arco acts on the root cause of these diseases.